For a while now, this project made me want to cry. I had been wanting to try this for SO LONG. I mean, I would LOVE to have the real thing. But my lottery winnings haven't come in just yet. So as usual I wanted to give it a try. In the end, it took three attempts to get this right. There is a slight chance that the string has fallen into a pile on the dining room table right now...but I think it's pretty solid. The last try, however, was the easiest, and best, which is what I'm sharing. FYI, I don't have a bulb in mine. I will one day, but our dining room ceiling doesn't have an electrical box, and I'm totally ok with the weirdness of just hanging it empty. I will give a link that part of the project though. 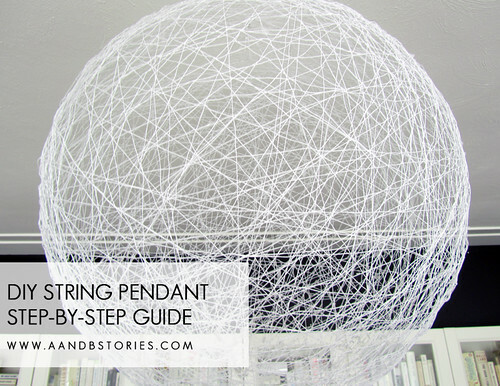 There are a LOT of string pendant DIYs out there. This is about the 900th. Some of them are kind of bad. I saw one where the finished pendant looked like a big saggy teardrop....um...that's not the look we're going for kids. But, this worked for me. So, here we go. Before I go into how I did this, a few notes about the other DIYs out there...and what I learned. A lot of tutorials say to hang the balloon and wrap it. This will take you approximately 17 years, plus you will need two people, and there will be a LOT of swearing. Instead, at first, I decided to tie the balloon the metal part of an old lampshade, and thought I would stand it up and work on it that way. That was my first fail. In the end, I simply placed the balloon on the tarp, on the floor, and pulled the string over it, turning the balloon as I went. It was fast and easy. Don't use Hodge Podge or whatever it's called. Again, I tried it, and it wasn't good enough. Don't wear anything you remotely like when you're doing this. Don't do this while baby is napping unless someone else is there to pick him or her up. You will be sticky. Blow up your balloon to the size you want. Tie a string around the knotted part of the balloon so that you can hang it up somewhere when you're done. Put the string in a bowl and pour the Stiffy Fabric Stiffener over it, saturating it completely (you can use any bowl, it will wash away easily after). Don't unravel your string, just leave the whole thing on the roll, it will be easier when you're wrapping it around your balloon. 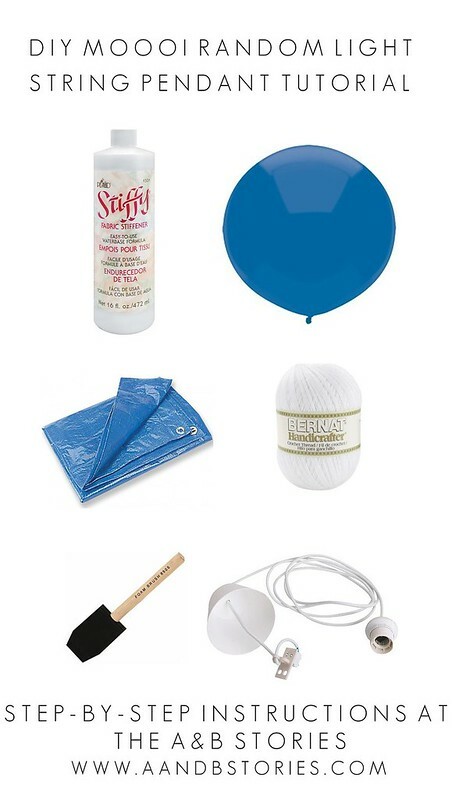 Place your balloon on the floor in the middle of your blue tarp, with the bowl beside you. Unravel a bit of the string, and tie the string all the way around the balloon once, knotting it. This will sort of help you get started. You won't notice the knot after...it all blends in. Now, start wrapping. You can keep the balloon down on the tarp, just wrap it sort of as if you were pulling ribbon over a present, and turn the balloon as you go. You'll get a real feel for it, and I found that it went really quickly. Try to keep the pattern random. 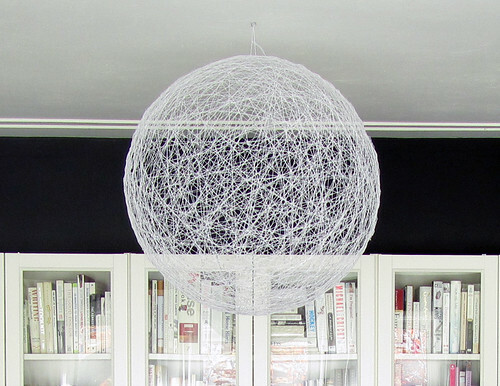 Do this until the whole ball of string is gone. I used one roll and it was plenty. It all depends on how dense you want the string to be. For the light opening, you have two options. 1) keep one area free of string, leaving an opening to change the bulb down the road, or 2) wrap the whole thing solid and cut a hole later. I've seen it done both ways. I like the idea of leaving a hole, it will just look cooler I think. If, as you wrap, you run into a knot or something weird happens, just cut the string, tuck it into the other string on the balloon, and start again making your knot the way you did in the beginning. I did this three times and it was no big deal. When you're done, hang it somewhere to dry, I left mine for two days. Once it's dry...go over it with a foam brush and more fabric stiffener. DON'T paint it on all over though. Use the foam brush like a bingo dabber (lol) just on the string. If you try to paint, you'll tug the string and it will be tough. I just dabbed all over, and it worked fine. Another two days later, you're ready to get that balloon out of there. Do this outside. I learned this the hard way. Take the eraser end of a pencil and slowly push on the balloon through the openings. Take your time, and make sure it's loose everywhere. Holding the balloon a bit away from the knotted part, use scissors and very gently cut a tiny hole into that part of the balloon (I didn't want it to pop...I wanted it to slowly deflate). Allow the balloon to deflate, using the eraser end of the pencil again if you need to quickly release bits of the balloon. The fabric stiffener dries and COVERS the balloon in billons of little flakes, which is what created the mess at this stage. Once the balloon is completely deflated, pull it through the largest opening you can find in the balloon (or the hole, if you left one). The flakey bits will all fall out of you shake the thing. If there are bits of fabric stiffener here and there stuck in the little holes, use a paint brush to dust them away gently. You can buy white cord sets like this one that you could simply pull through and be done with it. Or, if you want it to look a little more professional, I recommend taking a look at Jen Ramos' pendant DIY post. Hers looks fab. Ok, have I missed anything? Have questions? Let me know! Oh...my...God. 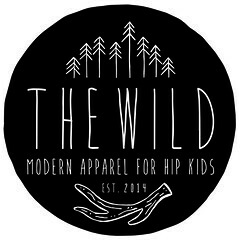 This is SO AWESOME!!!! It looks amazing! Looks great! Just wanted to mention that I made one of these a few years ago and I used one of those gym exercise balls. Worked well and it was pretty big. Oops sorry I just reread and noticed that you said NOT to use an exercise ball! I cut a round hole in my ball for the light bulb (about 5 inches), and when I deflated the ball I could pull it out easily. It looks great!! And the balloon won't get as stuck on the string when you're making it if you rub Vaseline onto beforehand! Your light looks gorgeous! It looks beautiful where you've hung it too, it shows off great against the black. 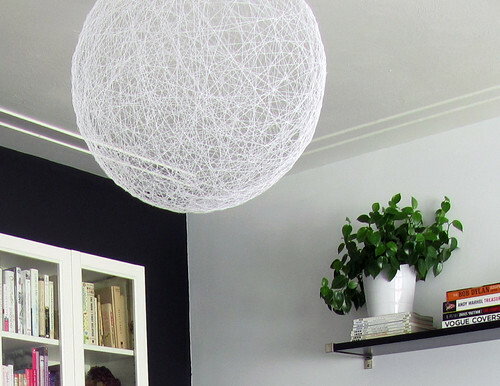 I've got this linked to my DIY pendant lights post as well today, thanks for posting your tutorial! Does anyone know if you can use thin ribbon to make this? Does it matter what kind of string you use? I have seen some tutorials that use ribbon so give it a try!